We have sebaceous glands that secrete oil known as sebum that regulate our pH levels in our skin and keep our skin moisturized. Sometimes the sebaceous glands can overproduce sebum which in turn creates oily skin. The excess sebum (oil) and acne-causing bacteria build up in the pores and can cause too much pressure on the pore walls causing them to rupture. When this happens, pimples form and spread quickly because the infected liquid leaks to other areas of the skin. 1. Cleanse your skin morning and night. EVERY MORNING AND NIGHT – DAILY. No excuses. It’s important and necessary to cleanse the skin twice daily to remove oil buildup and bacteria that builds on the skin throughout the day and in the morning. If you get lazy, you are increasing your chance of breaking out and prematurely aging your skin. Your pores need to stay clean and be able to breathe, especially at night when your skin restores itself while you sleep. Not cleansing your skin at night is allowing all the residue that settles in your skin during the day to trigger major breakouts. 2. Exfoliate a minimum of 3 times a week. Dead skin cells need to be removed gently through an exfoliation process to allow the pores to be unclogged of all the trapped bacteria and oil that settle under the dry skin. If something like St. Ive’s Peach Exfoliating Scrub is too rough on your skin (it’s rough on ours too!) then make your exfoliating scrub. 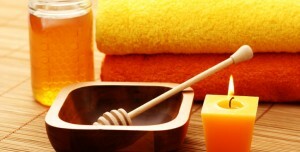 Read below under Home Remedies on how to make your own gentle face and body scrub. 3. End your skincare routine with an oil-free moisturizer. Doing so will leave you less oily since it will help balance the pH levels of your skin and if you are dry, will give your skin needed moisture. Follow this step morning and night as well. 4. If you are 16 years old or older, girl or boy, man or woman, start using eye cream morning and night. You will thank us years later. Men start to freak out around 28 years old when they start getting wrinkles around their eyes. It’s not just a female thing. 5. Drink at least 8 glasses of clean water a day to flush toxins out of your body so they don’t exude through your skin. Sugar Scrub – Using white cane sugar or brown sugar, combine with warm water or pure extra virgin olive oil and gently exfoliate your clean skin with this amazing scrub to remove cellular buildup. The sugar is gentle on your skin and won’t tear or irritate it and will literally melt into your skin. It will not clog your pores or cause further breakouts. If you choose olive oil instead of water, it will just give your skin added moisture to dehydrated skin. Rinse away with warm water then gently pat dry and apply an oil-free moisturizer. Toothpaste – Apply toothpaste as a spot treatment on pimples before bed to dry them out while you sleep. Use a paste and not a gel since gel can irritate the skin. The main ingredient that can dry out pimples is calcium carbonate. Test out one pimple before applying on all pimples to make sure you don’t have an adverse reaction. Pure Aloe Vera Gel– Aloe Vera is proven to have amazing anti-inflammatory benefits in addition to moisturizing dry skin. It is also proven to minimize scarring from acne or sun damage. You can purchase an Aloe Vera plant to use the gel from within the leaves or by purchasing a bottle of 100% pure Aloe Vera at a natural health food store. 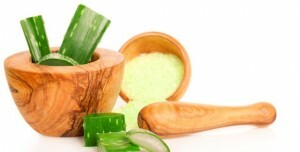 Add a teaspoon of pure Aloe Vera to a homemade smoothie or juice to heal your skin from the inside out. Organic Fresh Lemon Juice – You can mix a few squeezes of fresh lemon juice into the sugar scrub listed above or dip a cotton ball into fresh lemon juice and apply all over your freshly cleansed skin. It works as a natural astringent/toner on your skin. 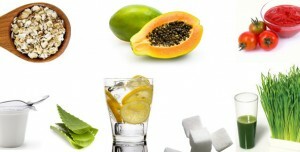 It will balance the pH levels of your skin, reduce oil if you suffer from oily skin, and will even out your skin tone. Good skin doesn’t appear overnight. It may take up to a couple weeks to see positive results on your skin from following a proper skincare routine. If something doesn’t work for you, something else will! Don’t give up! Luckily we at Acne Skin Site are here to help you and offer many tips and tricks to try and finally get rid of your acne forever. I know how you feel. It’s terrible because I feel disgusting to other people even when they comment on me looking good or something like that. No matter what, I’ll still have my insecurities, but I can’t let those rule my life and make them live a way I don’t want to. I started not caring about if I had a terrible breakout today or I didn’t. I go out into this judgmental world as much as I can because I don’t want to hide myself from a majority of opportunities. If someone doesn’t accept you for your skin, that’s their loss. You need to allow those who accept you for who you are and not your physical appearance. Do what you can for your skin but don’t hold your life back from being with friends and going out. When you have friends who understand you and who you can talk to about your problems, a feeling of relief will rush over you. Take a chance. The worst that can happen is that you’ll never find out what COULD happen. You feel exactly the same as me, my skin has gotten so much better recently but it still affects me and stops me from doing things but always remember that acne isn’t forever ! It’s good to know I’m not the only one who feels like that ! I am pissed of because of this acne its been damaging my face and back from last 6 years!! And now a days I feel like its enough I got all spots on my face and back nobody see me!! I feel helpless even I am not good in financial condition so that I can go for a skin care clinic or a skin doctor!! Please help me out I beg you guys!! Hey everyone should try Alba botanica acne face scrub it is unbelievable treating blackheads, cystic acne, as well as post acne marks and scars. Whoever has really bad acne needs to try it you will not be disappointed.It has done wonders for my horrible acne I use to have. You can purchase it at Walmart! . Its really cheap too!! Thank you so much for this article. I have actually noticed that my acne has gotten a bit worse with the colder temps. Your sugar scrubs sounds great and I am going to try it. I found this article that you and your readers might like about wintertime acne and the different treatments you can try for both skin care devices and topicals. Thanks for the suggestion.. The sugar=lemon scrub really worked well on my skin.. Its again a natural skin now which i had before..! Acne is the worlds most irratating and disgusting disease.so, we can not sit quite.in market many medicines are there like costly antibiotic.they are of no use to prevent staphylococcus(bacteria responsible for acne).due to the following tips today i am totally free from acne.thank you to my all friends respectiably. One thing I would like to to share…I have tried it so only sharing this u need 2-3 almonds and a pure turmeric piece (do not use the readymade powder) first make a thick paste of almonds just put a 2-3 drops of water on almond make the paste by rubbing the almonds on a clean hard wooden piece or clean stone once the paste is ready move the turmeric piece into the almonds paste anti clock wise,the paste should not look too yellowish it should look creamish yellow colour….once the paste is ready cleanse your face with warm water since it will open the pores and apply the almond-turmeric paste on your face leaving your eyes..gently massage by using forth fingers(ring finger) of both the hands,(after 15 minutes ) once you feel your face is getting tightened then wash your face with cold or normal water since it will close the pores. 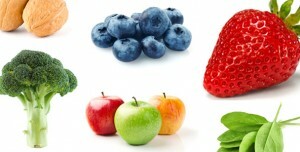 Continue this,Do not have chicken or meat,spicy food outside food,cashews,chocolates,ice creams,white rice, chapaties,roties i mean to say do not eat those food which causes excess heat and excess oil in the body…(for minimum one month)drink water not the cold one(refrigerated one) use clean towels,make sure ur pillow cover and rajaies are clean and tidy …eat fresh carrots in empty stomach since its very good for skin drink tender coconut every day or every alternative day..it will cool your body and most important while shampooing your hair make sure that it should not fell on your facial skin…since it will make your facial skin too dry…the benefit of using almond-termeric paste as facial mask are: First your complexion will improve, facial hairs will not be shown(ll get reduced) post acne marks will reduced turmeric fights with acne causing bacteria and alomonds not only sooth the skin but also will work as a natural vitamin e mosturiser and makes the skin soft and young…I have a acne prone skin and I have tried it and as well as the diet..I have got the results now i hv become too lazy that i did t brought almonds and left my diet because of which i have got my pimples back so my friends please make it as a routine to have a healthy skin. I am going to follow this are you?? I noticed this site on Evan Rachel Wood’s twitter feed. I wish I had a better way to contact her, but hope she reads this though it is for all acne suffers. My story – I am pushing senior citizen now, not quite there, but I dealt with acne from 14 to 44+. In my 40s i used a supplement for joints. it did nothing for my joints but I did notice that my skin was much smoother. I had been plagued by the hard little nubs of sebum on my face, scalp and trunk. I nosed around and finally figured out that the ingredient in the joint supplement that kept these nubs from developing was hyaluronic acid!!! It seems to keep the sebum from becoming hard and clogging the poors. I have now been taking HA 20 mg by mouth for years. I purchase it online at Puritans Pride and the price is really reasonable. I wish I had known about this since age 14 as my horrible cystic acne might not have been a problem at all. I hope this helps all who need it. HA is a natural product, but I’m not a doctor so please research this for yourselves. Acne can really seem to ruin your life. And yes I have found that wearing breathable clothing like cotton can really help with the ‘workout breakouts’. Another thing to keep in mind is to wear clean clothes or pjs~change often and avoid heavy fabric softeners. Hi I’ve been having bacne for about 4 years now.. How can I prevent back break outs? It really bothers me that I can’t wear what I want and im always comparing myself to other people.. Ideas?? Suggestions? Nice tips you’ve got, pls i’m presently battling with blackheads. What can i do about it and where can i purchase ur product in Lagos, Nigeria. I have acne very badly and I always try to keep my skin clean and oil free but I haven’t seen any result,,now I have left with scars and blemishes on my fair skin which annoys me and I sometimes avoid parties ‘coz of my acne skin..
How can I get rid of this can Opt any medications?? Exfoliation has helped a lot even though people always told me not to exfoliate when I have acne. I used honey and cinnamon powder to exfoliate.